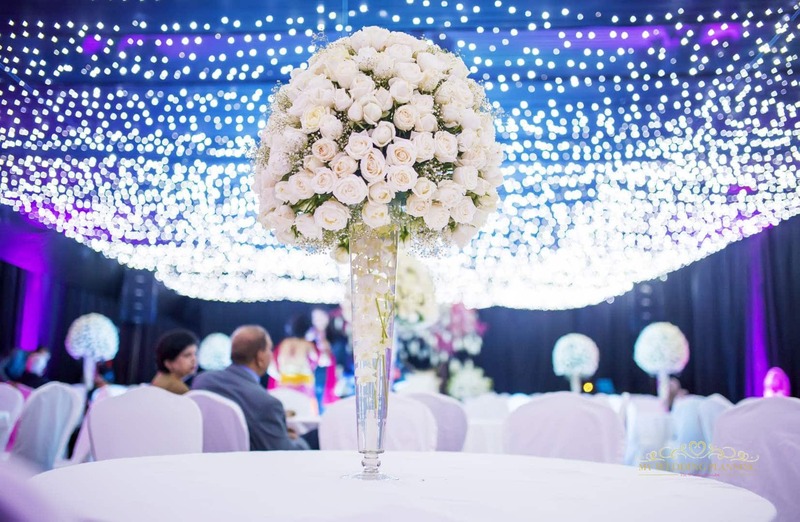 This wedding celebration is filled with beautiful decor and dazzling imagery- so much so that we’ve covered it in a series of blog posts! 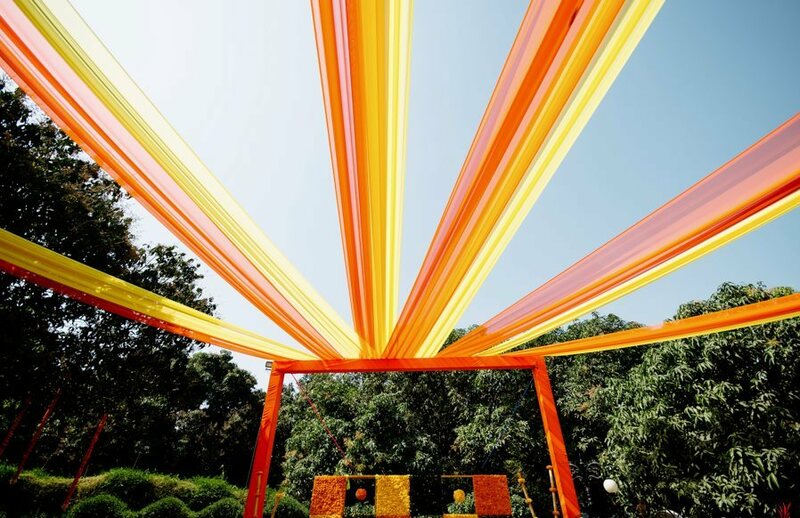 Their stunning outdoor wedding ceremony features one of the most incredible mandaps I’ve seen lately! 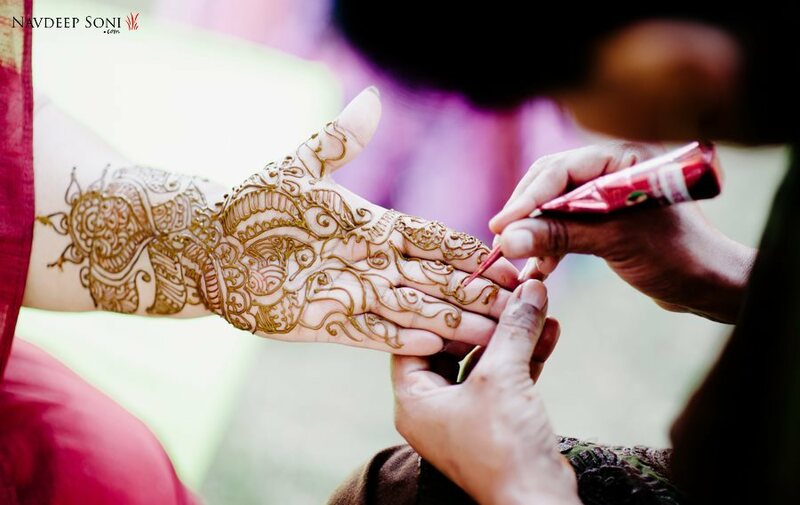 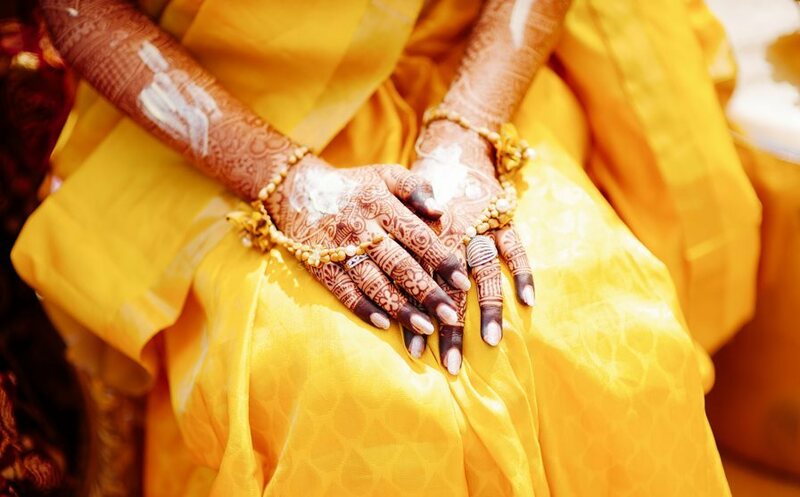 Today let’s take a sneak peek at Nidhi and Kishan’s mehendi and sangeet and be back tomorrow for their super-gorg wedding! 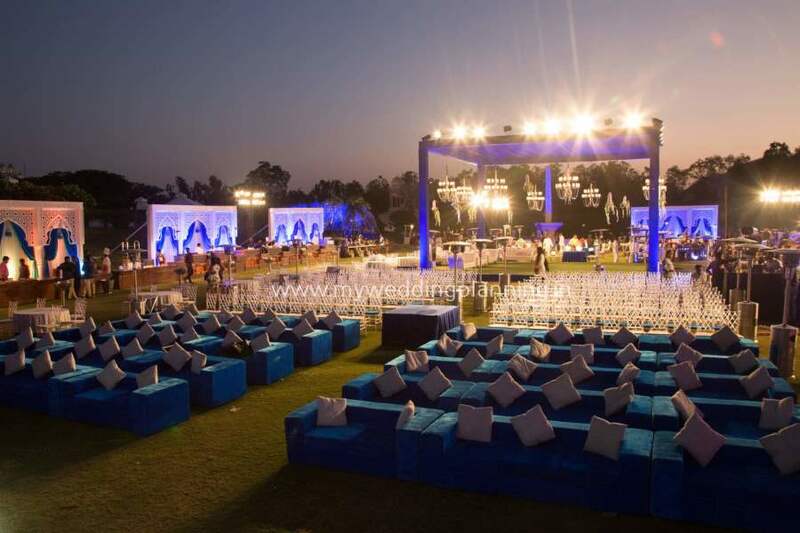 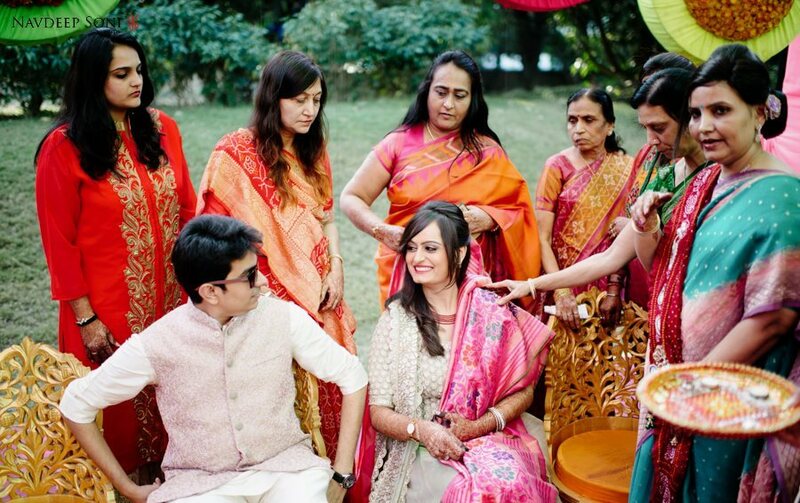 Nidhi and Kishan knew the picture perfect Madhuban Resort in Anand was the place they would get married as soon as they saw it, and it made a damn fine setting for their big fat wedding celebrations. 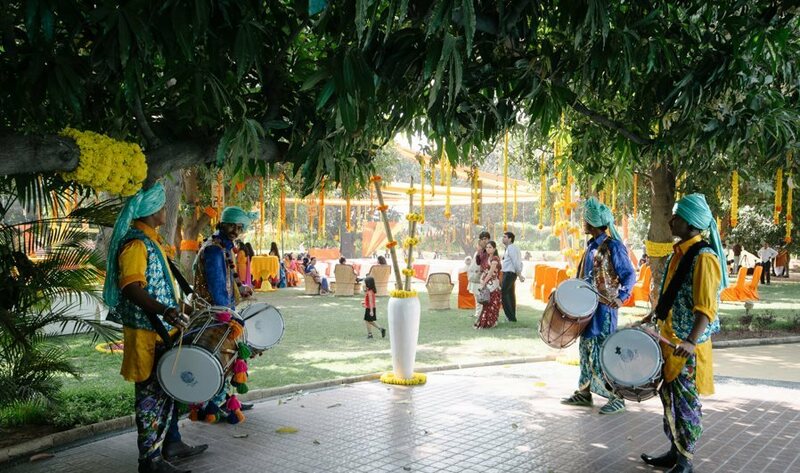 The beautiful property in Anand felt right from the word-go, and both bride and groom agree that it’s Gujurat’s most beautiful wedding venue. 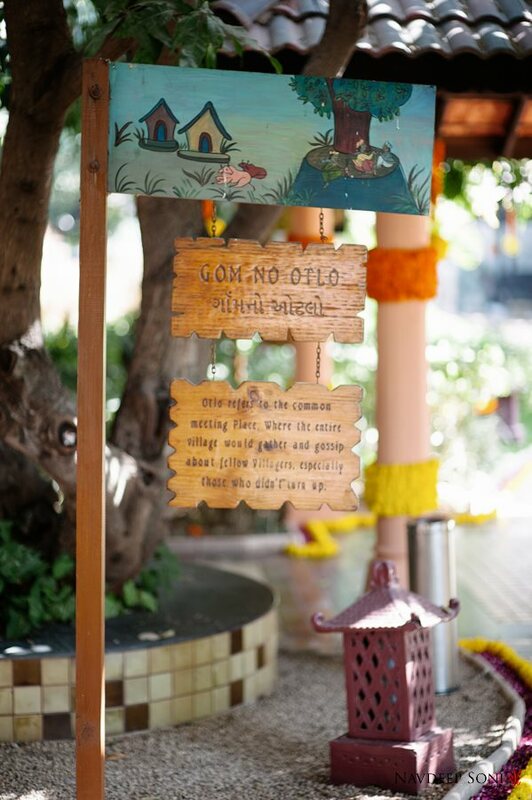 Destination weddings make all of us at My Wedding Planning oh-so happy. 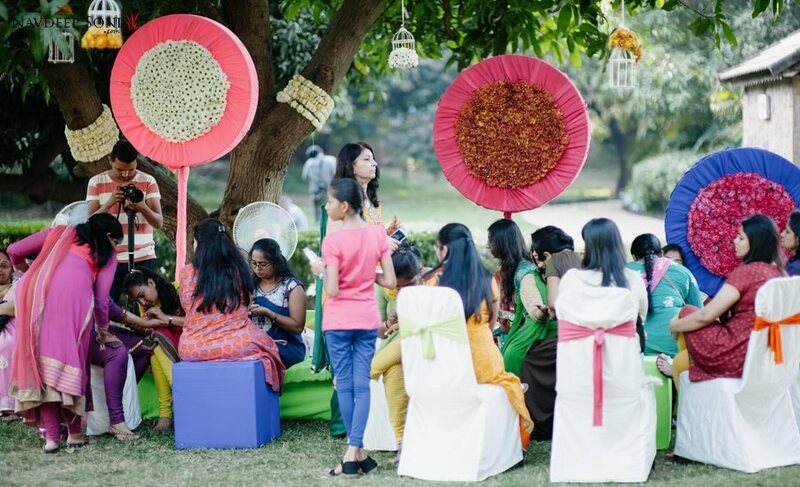 Add in a stunning outdoor wedding celebration filled to the brim with lush florals, DIY elements, gorgeous outfits- and we are hooked! 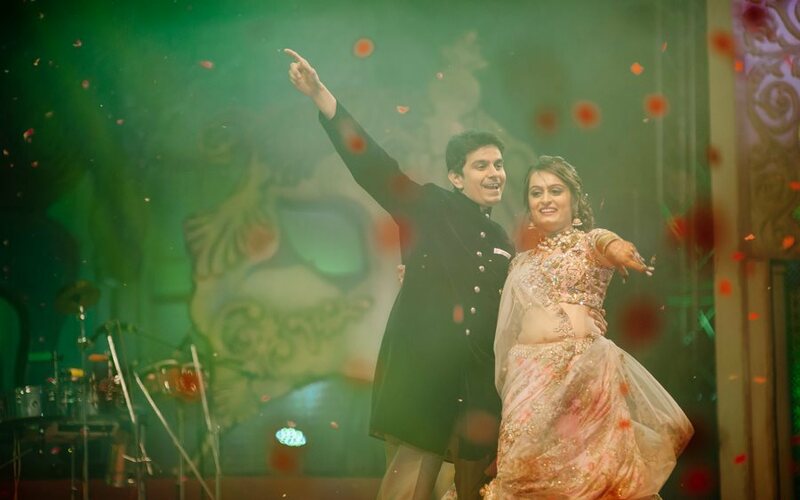 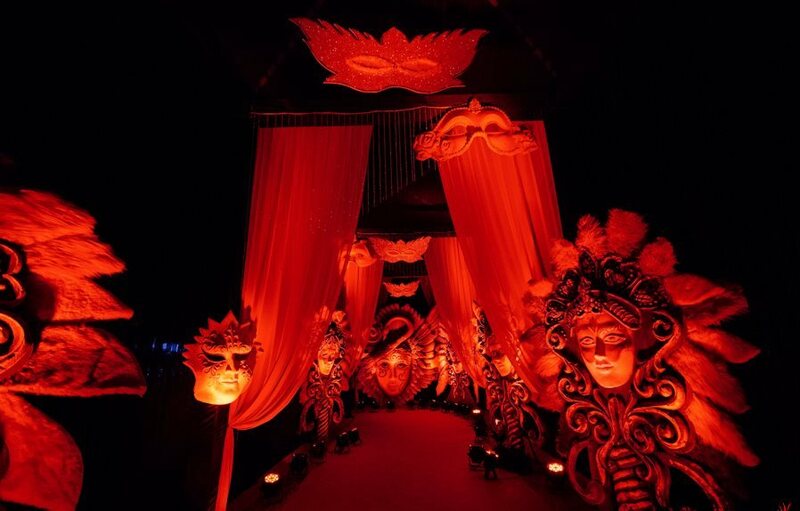 Nidhi and Kishan’s elegant garden mehendi followed by an extravagant carnival themed sangeet is bursting at the seams with beautiful decor by 7X Entertainment. 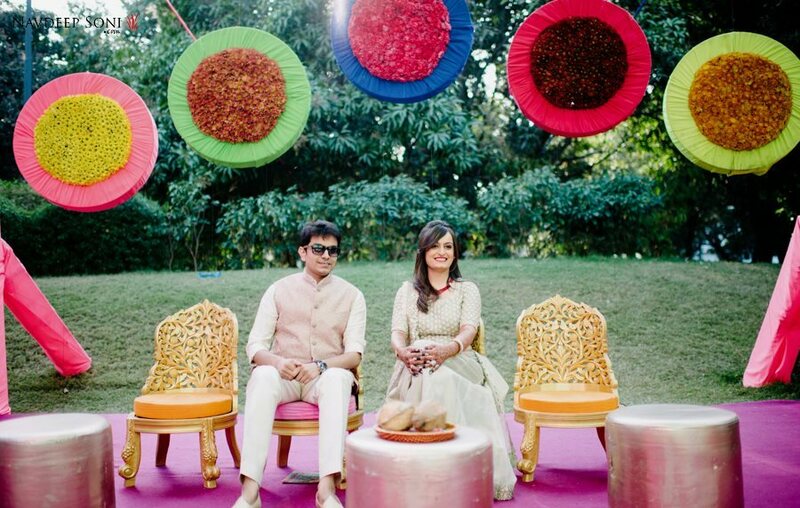 Soulmates since day one, Nidhi and Kishan, MWP’s super spunky couple of the month, wanted an outdoor wedding that matched their personalities. 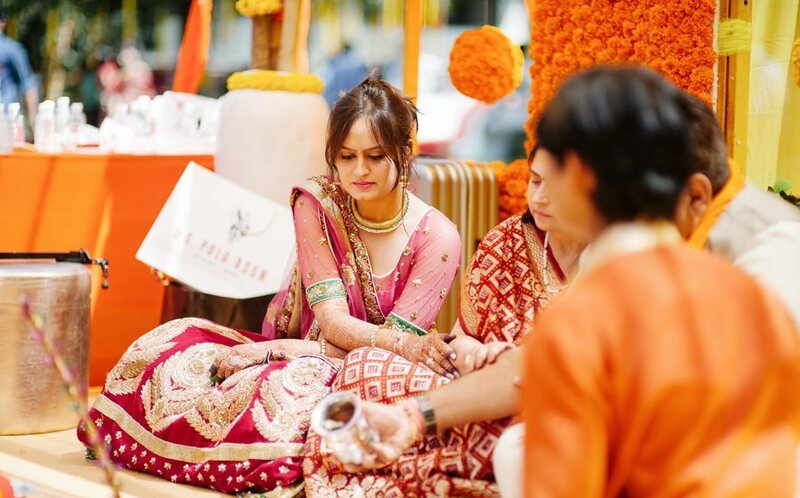 They were engaged for 11 months before getting married this year in Feb 2015. 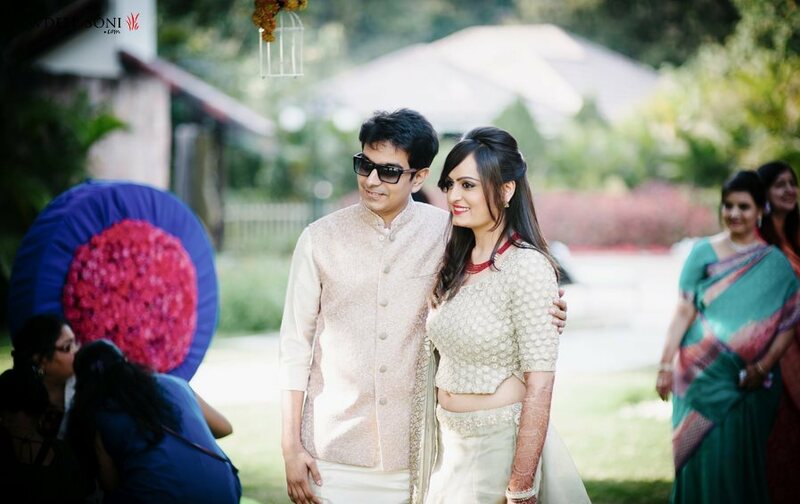 Kishan owns a pharmaceutical company and Nidhi completed her MBA last year. 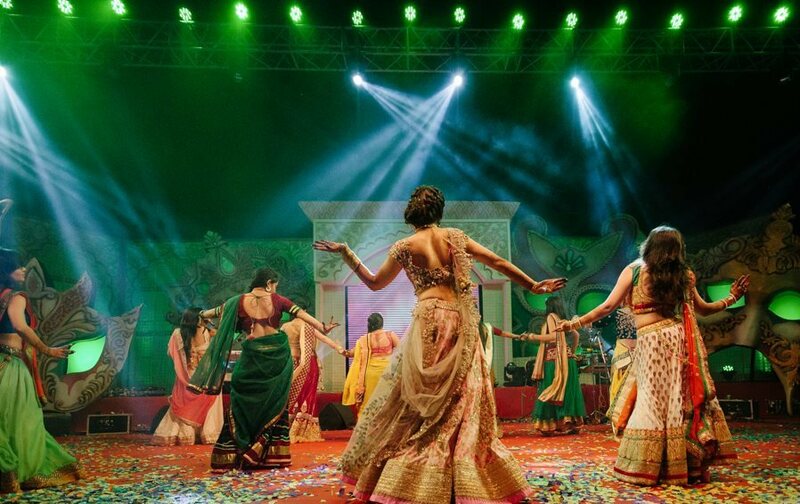 We absolutely love all the images captured by the talented photographer Navdeep Soni, be sure to scroll through each one of them! 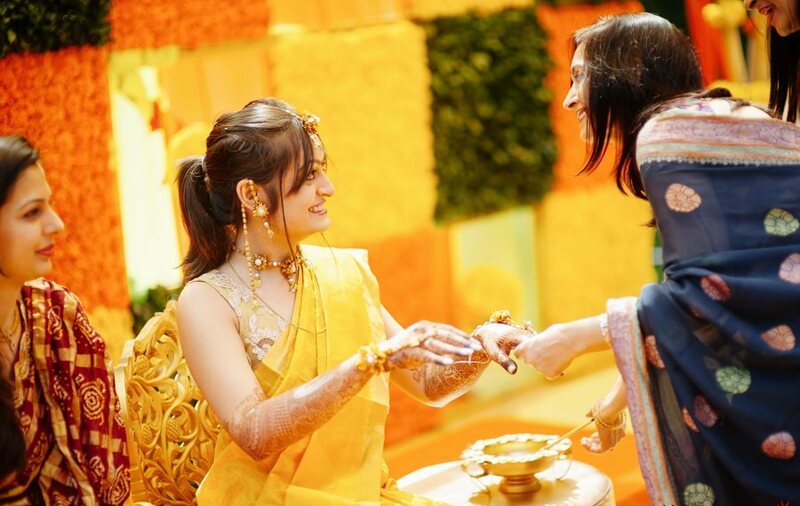 This mehendi is bursting with energy! 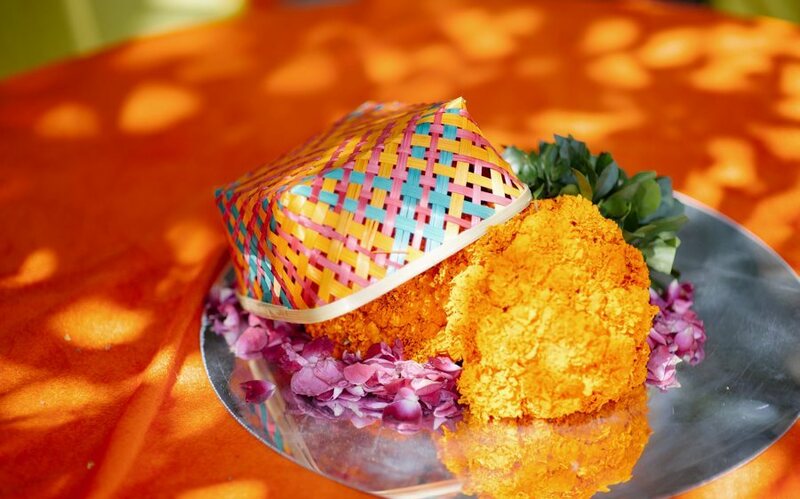 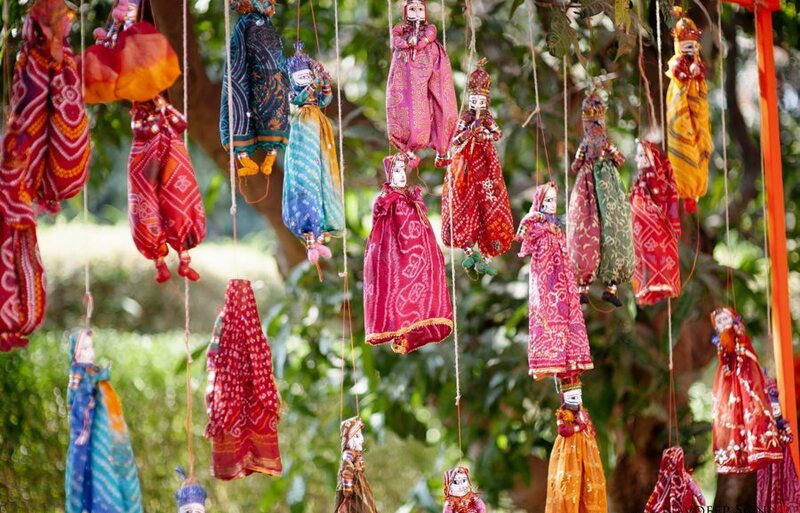 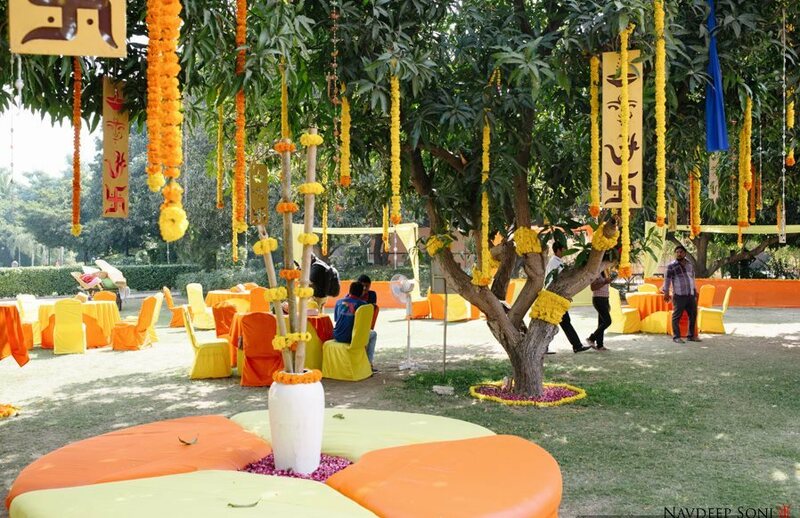 The yellow and orange marigold decor is fresh, festive and a whole lot of fun. 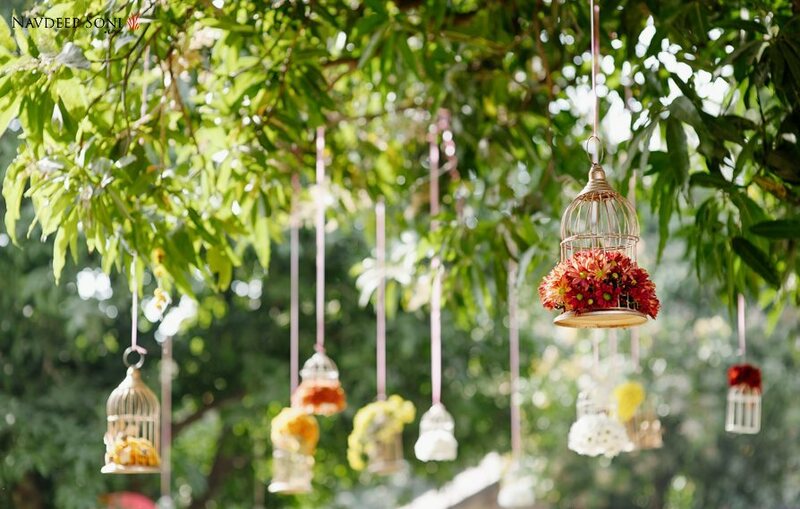 LOVE the photobooth backdrop, innovative centerpieces, the cute birdcages hanging from trees, plus many such other sweet elements to make the setting amazing. 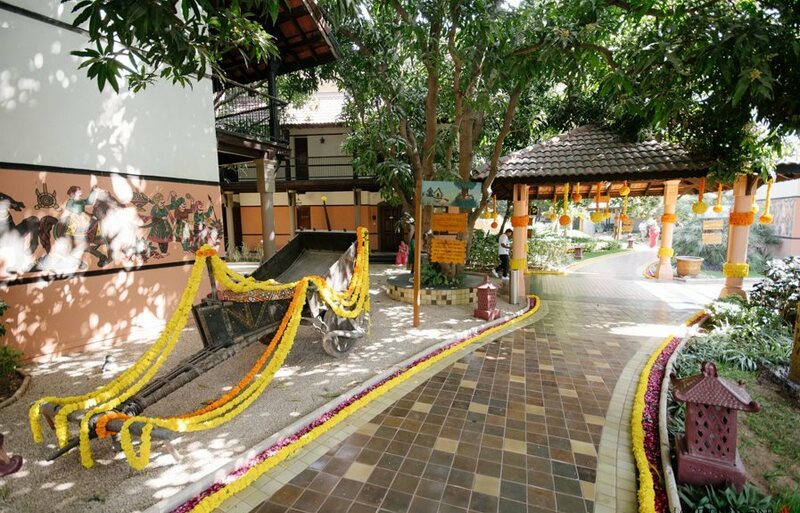 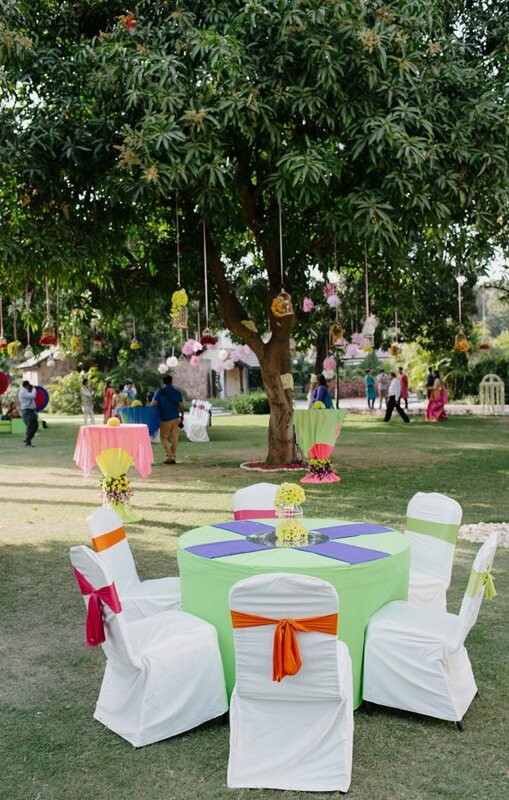 Held at the lawn, Madhuban resorts’ gorgeous natural charm inspired their bright yellow color palette juxtaposing the earthy colours in the background. 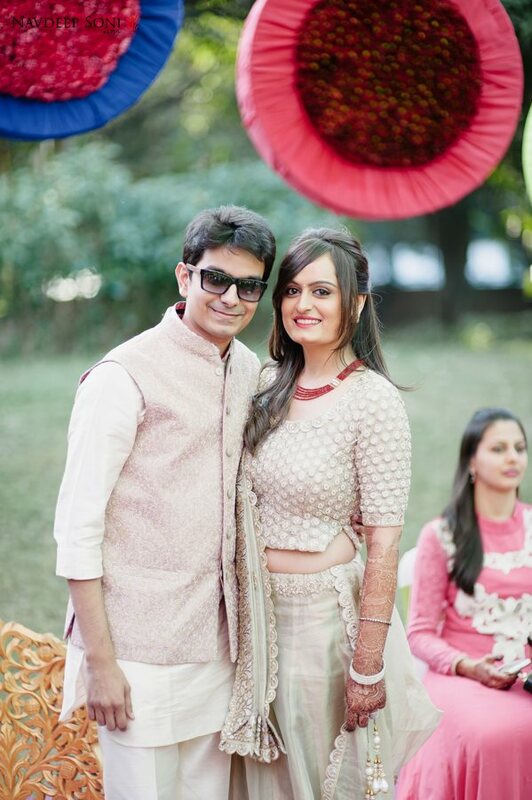 Navdeep Soni and his team had a ball capturing this lovely couple under the afternoon light. 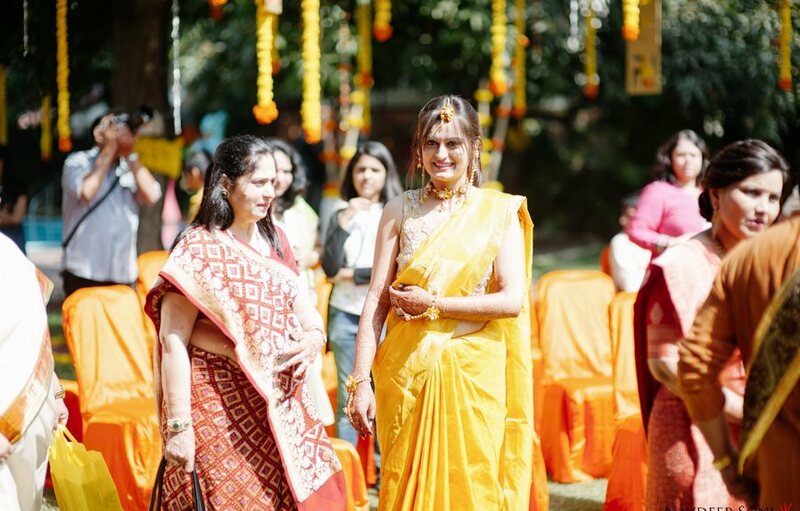 “Madhuban Resort is such an incredible property – gorgeous gardens, beautiful earthy decor and stunning locations to shoot”, says photographer Navdeep Soni. 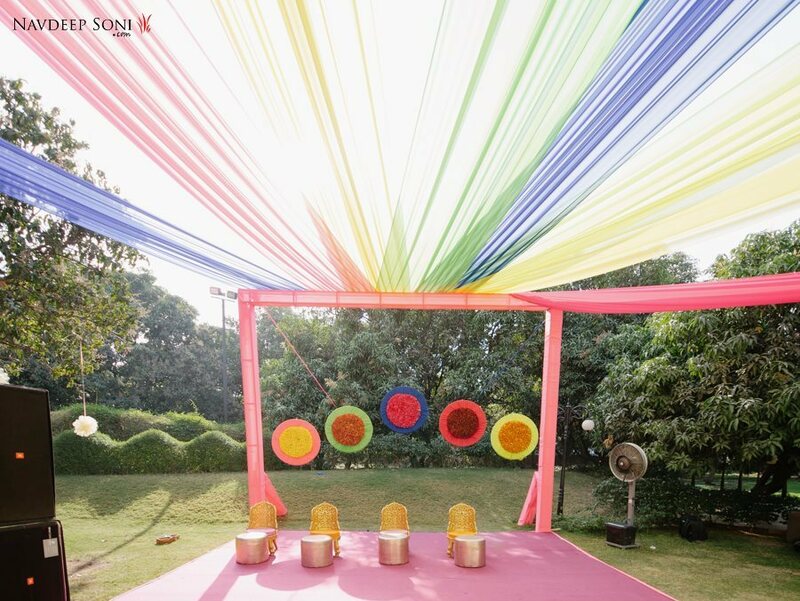 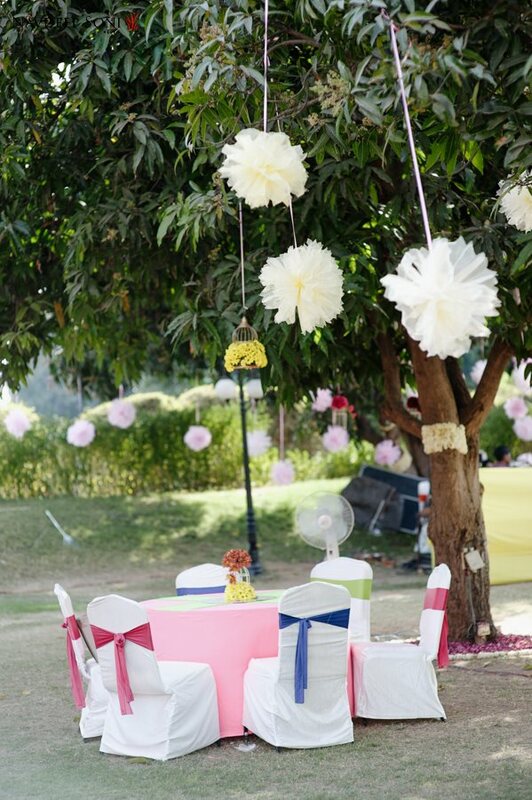 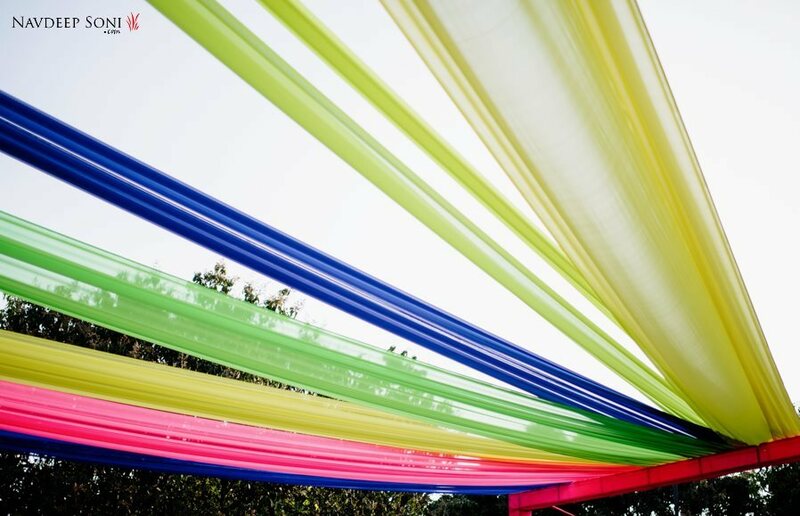 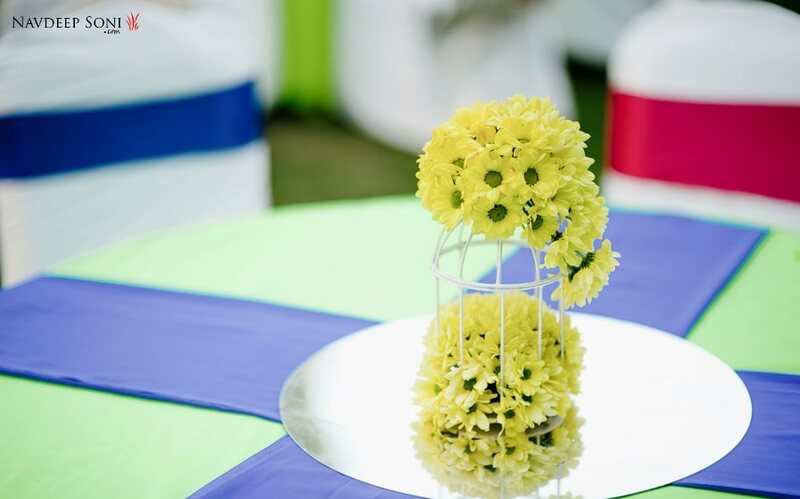 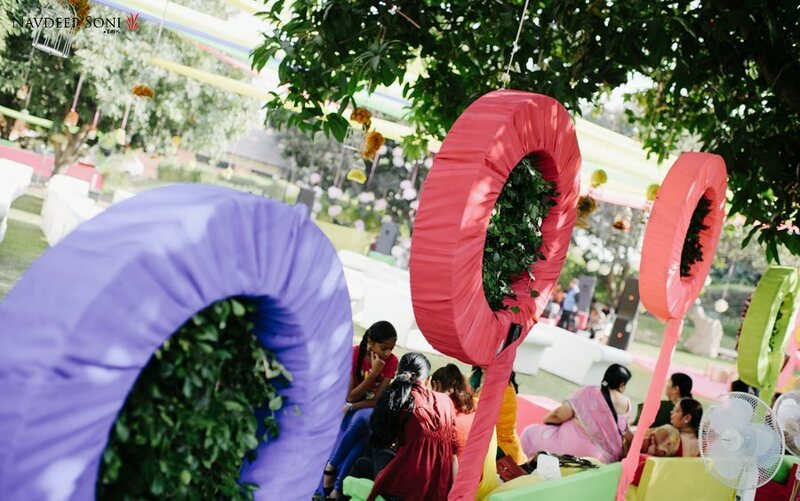 The couple chose a fun carnival theme sangeet as their second event. 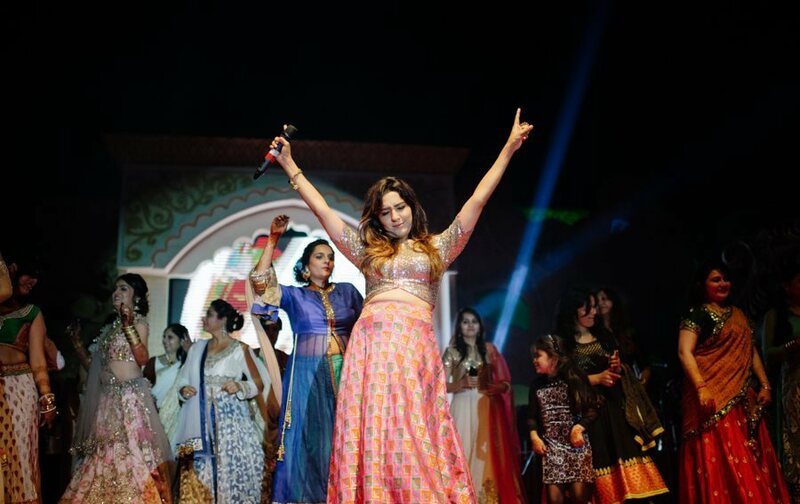 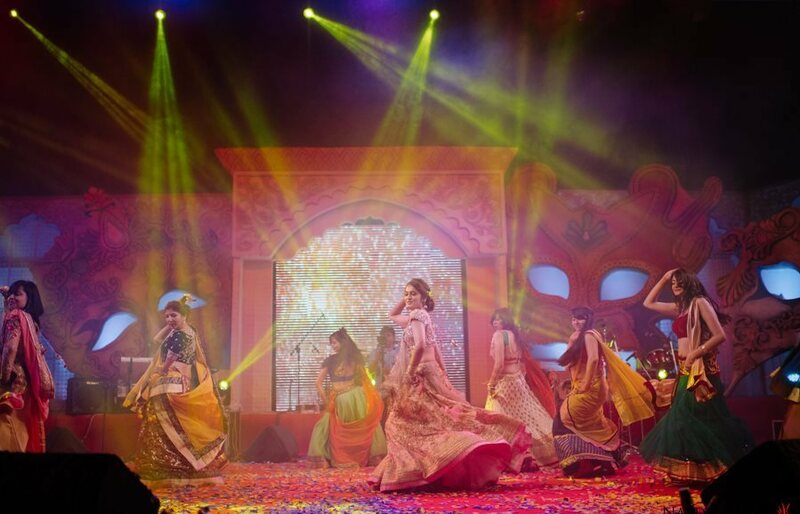 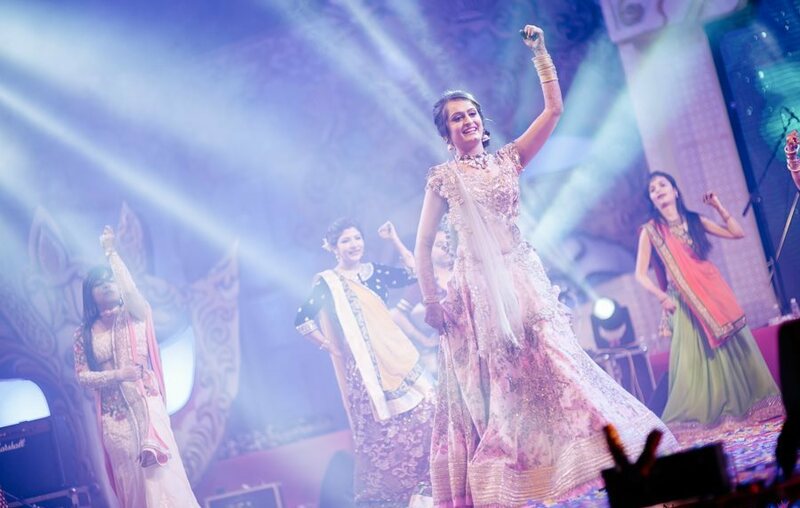 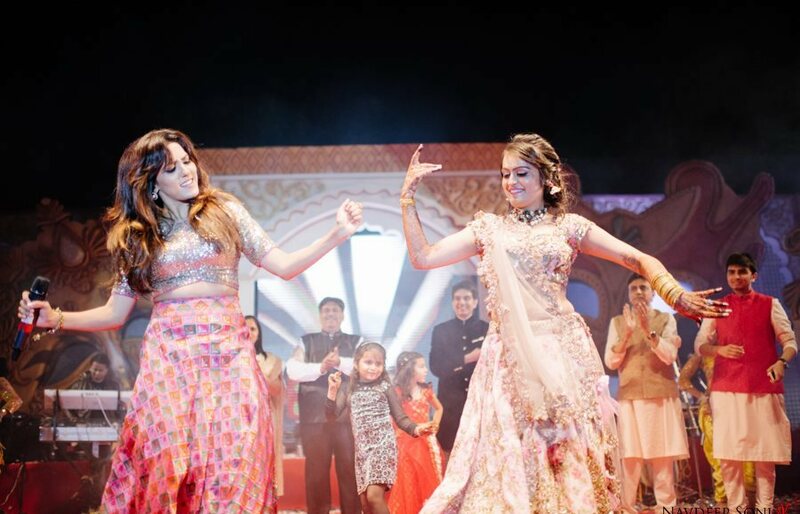 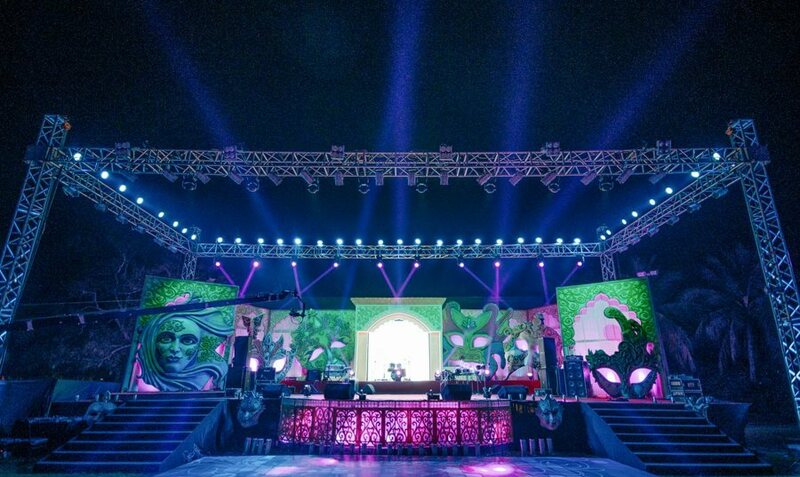 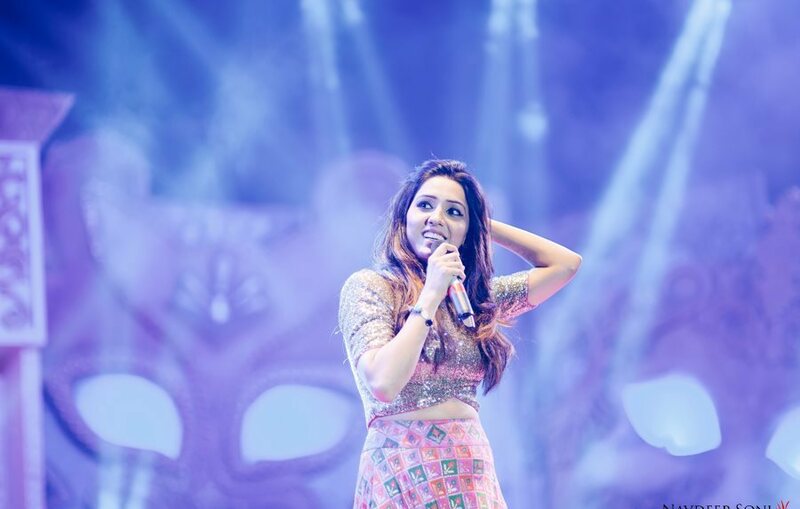 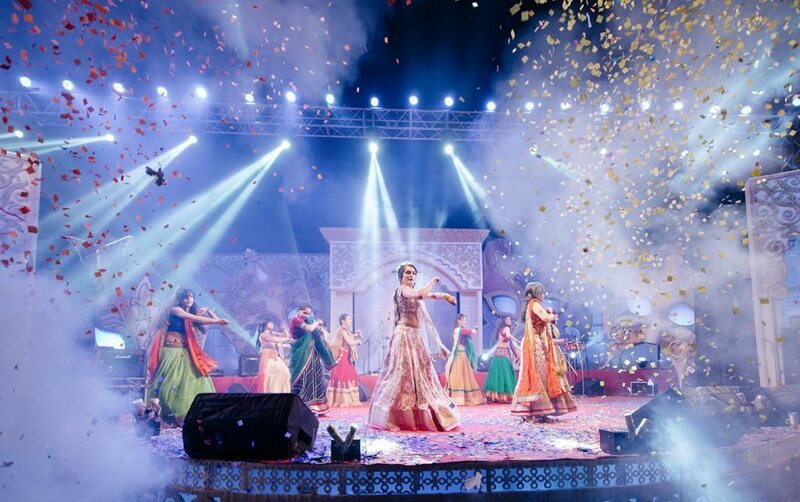 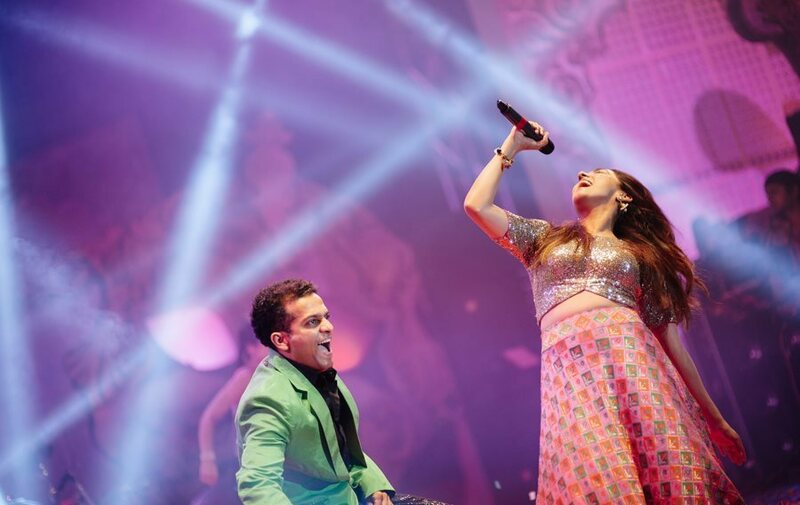 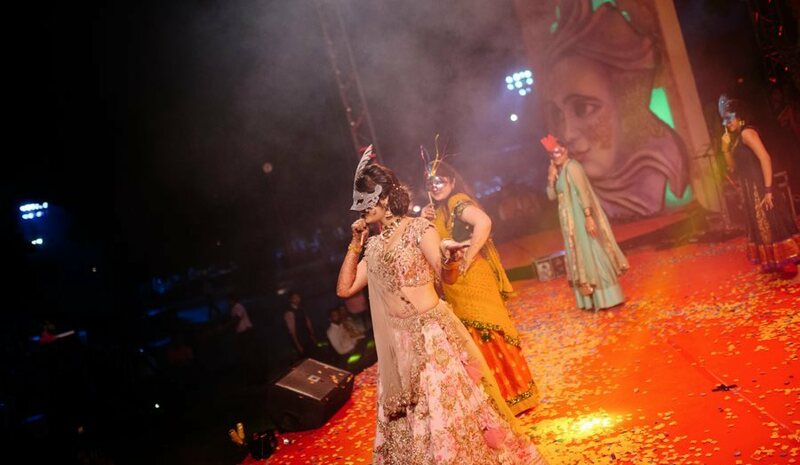 The unrestrained carnival-style feel of the sangeet ensured a fun time for all, and celebrity singer Neeti Mohan along with JIA band had everyone on their feet. 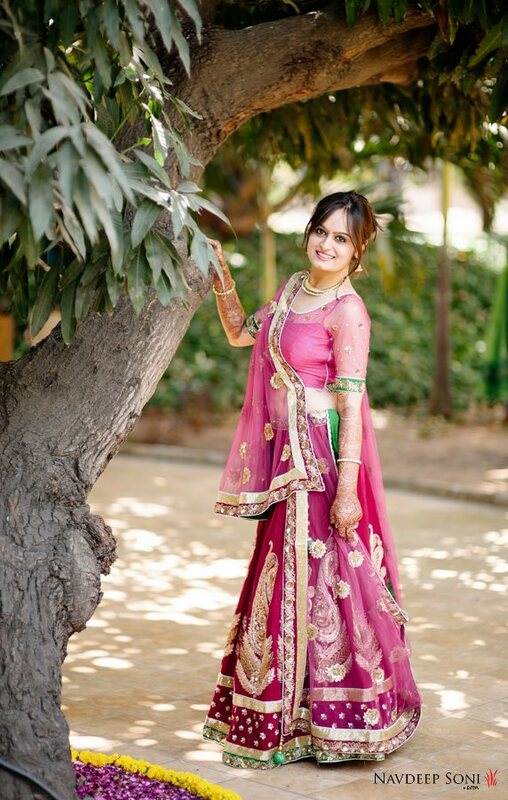 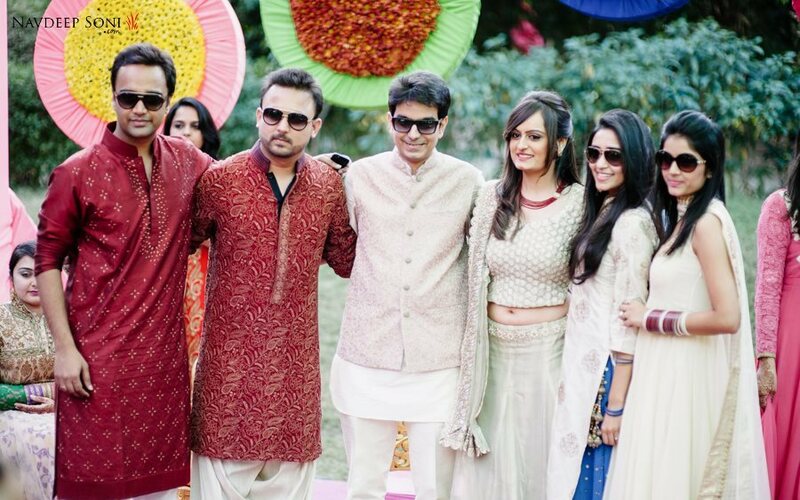 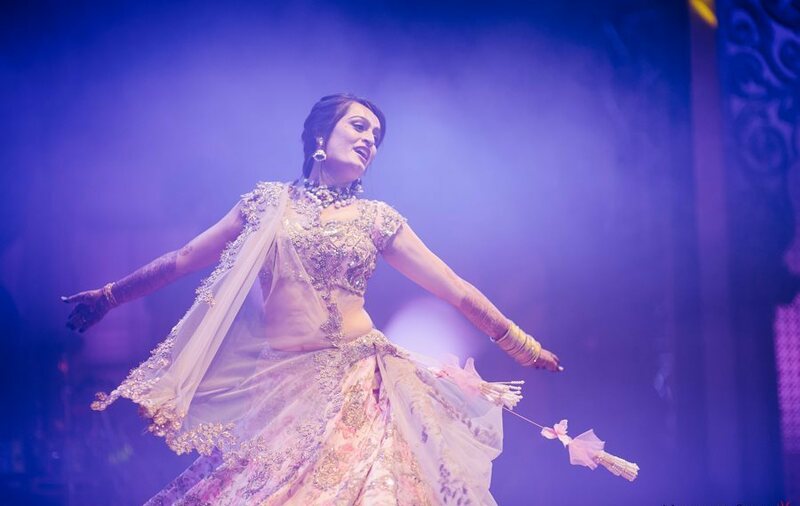 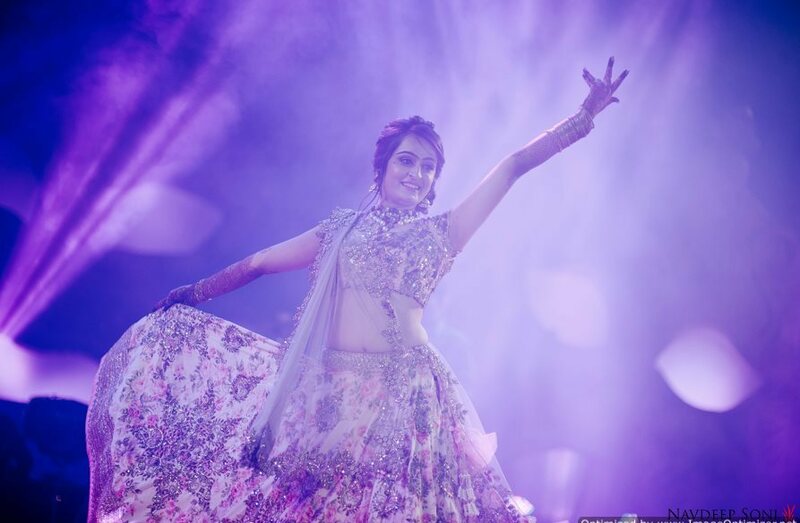 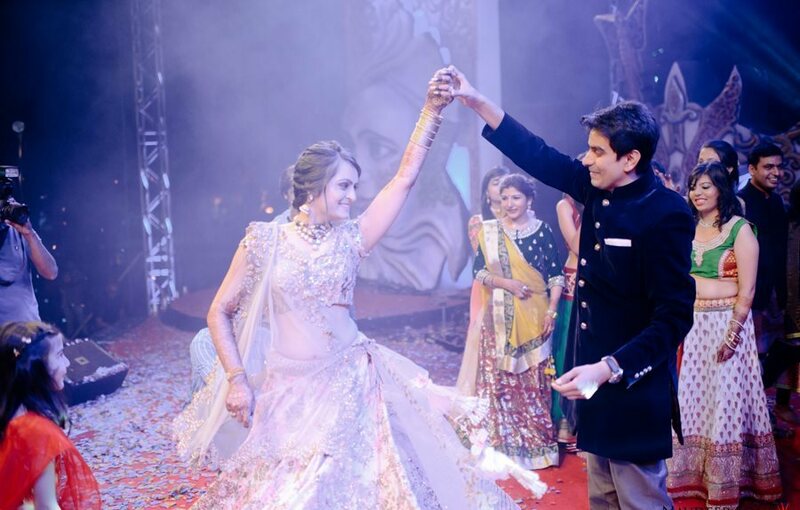 When it came to attire, Nidhi wore a lovely Anushree Reddy pastel lehenga. 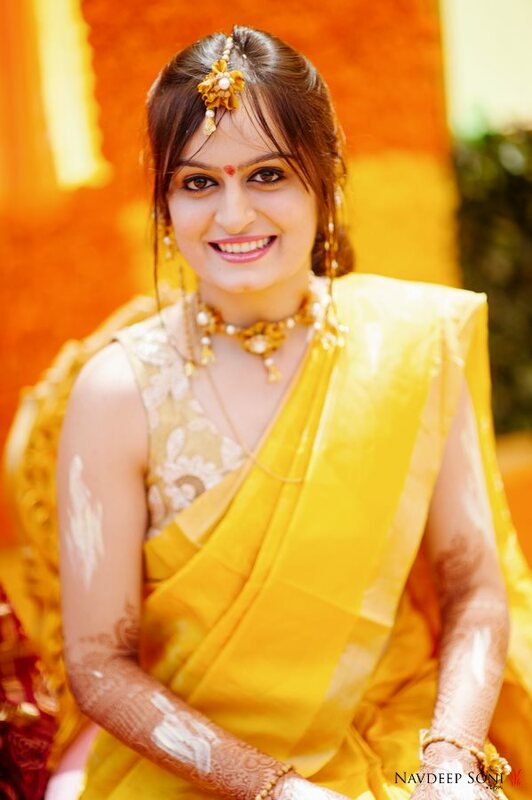 With a little help from Ulipi’s Salon in Ahmedabad, Nidhi was able to bring her dream bridal looks to life, and she looked stunning. 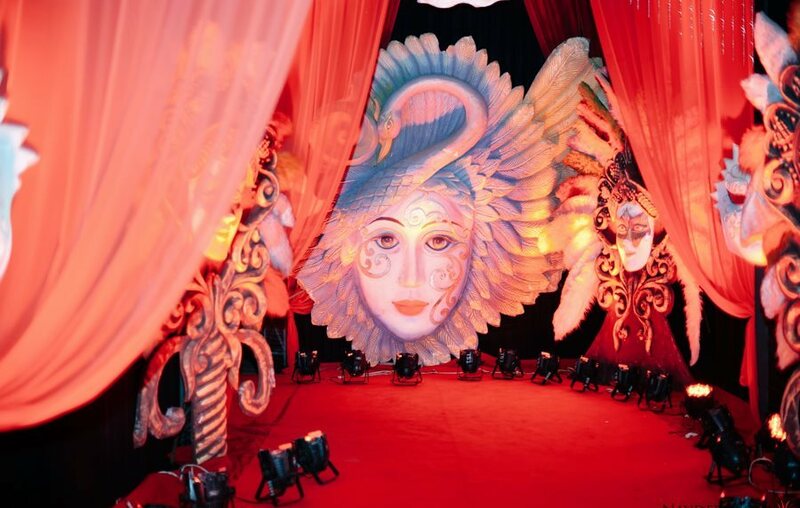 The sangeet ceremony was brilliantly highlighted with a carnival set up and we’re positive it was one event none of the guests will soon forget. 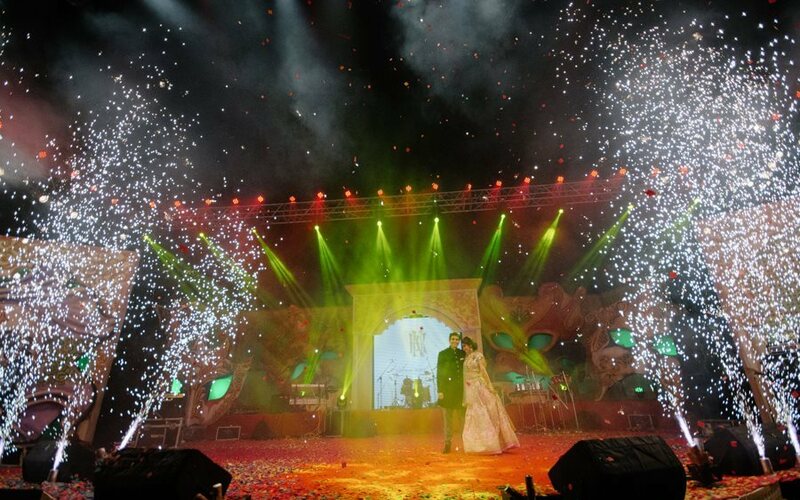 I’m sure you loved these spectacular images! 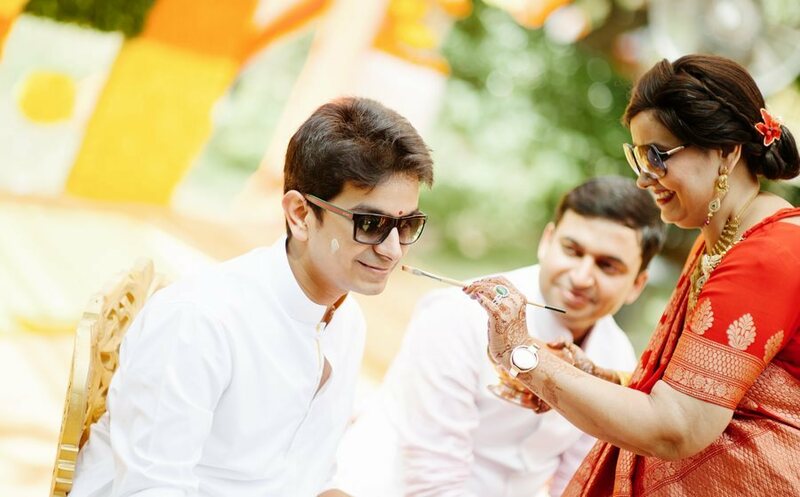 We sincerely thank Navdeep Soni for sharing this celebration with our readers! 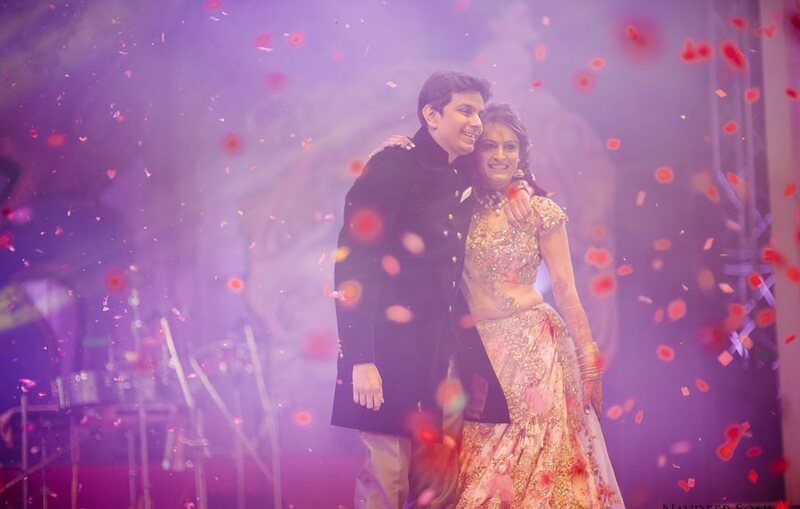 Be back tomorow for Nidhi and Kishan’s extravagant wedding! 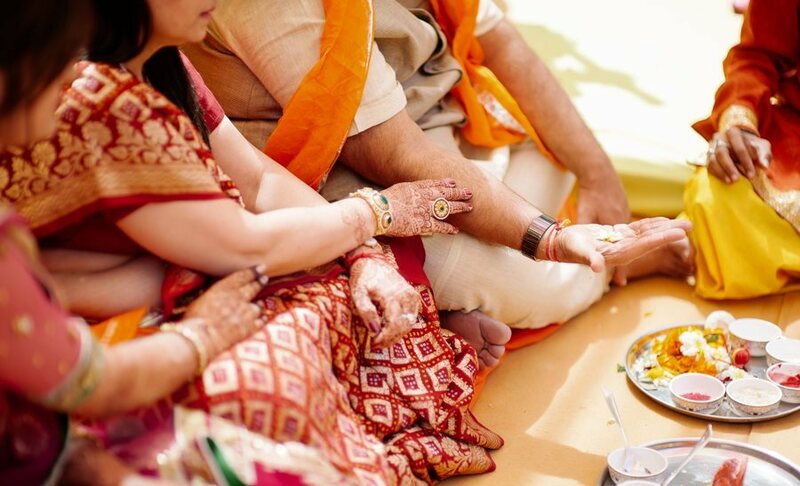 Wedding Band – JIA band.